Welcome to Spatique! We are so excited that you have chosen our skin care and wellness center, and we are eager to help you achieve your skin care, image and wellness goals! Services are offered by appointment only, and you will love our charming location. We’ve created a wonderfully relaxing and private environment just for you to unwind, rejuvenate and enhance your image! 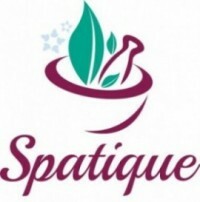 Guests not already registered with Spatique will need a valid credit card to hold your spa reservation. You may reschedule your appointments up until 24 hours beforehand. Keep in mind that your appointment time is reserved exclusively for you. If your reserved time will not work for any reason, please call (913)685-4866 at least 24 hours in advance or reschedule online at least 24 hours in advance. Because late cancellations and no-shows prevent other clients from being able to book prime service hours, we appreciate your consideration in honoring our rescheduling policy. Your courtesy in honoring our Rescheduling Policy allows the opportunity for someone else to schedule an appointment, or for our staff to call clients on our Waiting List. Should you forget or consciously choose to forgo your appointment for whatever reason, you will be considered a “no-show.” Your cancellation is considered late if not received at least 24 hours in advance of your scheduled appointment. Effective January 1, 2018, late cancellations and no-shows will be billed at the full rate of your scheduled session. If you arrive late, your session may be shortened in order to accommodate others whose appointments follow yours. Depending upon how late you arrive, your Therapist will determine if there is enough time remaining to start your treatment. Regardless of the length of the treatment actually given, you will be responsible for the full session. Out of respect and consideration for your Therapist and other clients, please plan accordingly and arrive 5 minutes early. If you need to complete New Client Forms, please plan to arrive 10-15 minutes early. Leaving a tip is always at your discretion. It is not included in your cost of service, and you are welcome to show your appreciation to your Therapist by leaving a gratuity in cash or by adding it to your credit card payment. Gift cards may not be used for gratuities. The customary average gratuity for spa services is 15-20%. Before entering the spa, please turn off your mobile phone or other devices that will ring, sing or vibrate. To ensure your time is completely relaxing and that you don’t disturb others, you may want to leave devices in your car. Your children who are age 10 or older are welcome to receive services by appointment only. Due to safety considerations and limited space, we ask that you not bring children who will be waiting unattended while you receive services. Our facility is designed to provide you with an exclusive experience. We want you and other guests to have privacy during your reserved time. When it’s necessary for someone to accompany you to your appointment, please ask them to leave and return when your session is completed. Your Therapist will be able to tell you how much time is needed to complete your service(s). Spatique Skin Care™ Gift Cards, Spa Packages and Pre-paid Services are non-refundable. If you decide not to use a package or pre-paid service for its intended purpose, you may convert it to cash value to use for other spa services. Anytime a spa package is purchased and redeemed for something other than the original service package purchased then the voucher converts to cash value and no discounts apply. No conversion is allowed for packages that include retail products. Any associated Spa Dollars are subject to forfeiture. Gifts Cards, Spa Packages and Pre-paid Services are not redeemable for cash or retail products (unless otherwise specified). All Gift Cards, Spa Packages and Pre-paid Services should be presented upon checking in for service. Gift Cards do not include gratuity or applicable sales tax. Gift Cards and Spa Packages typically expire one year from the purchase date. Expiration dates for promotions and special offers on pre-paid services may vary. We no longer accept SpaFinder, SpaWish and SpaWeek Gift Cards and Gift Certificates. Please visit our online store to purchase Spatique Gift Cards in any denomination. You can also choose from a selection of current gift card specials. Your gift cards can be emailed, or you can print them to add to a greeting card. Unless otherwise specified, discounts and special offers of any kind may never be combined. This includes pre-paid gift cards that are purchased at a discounted rate, spa packages, treatment series, service discounts, retail discounts, special offers, promotions and Member Pricing. Accumulated Rewards Points (aka Spa Dollars) can be redeemed towards spa services. A minimum of 90 Rewards Points which equals $45 Spa Dollars is required for redemption. You may earn Rewards Points by referring friends and by booking online. We are committed to protecting the privacy of our clients and guests. We will never sell or distribute information collected from you. The information that you provide will only be used by Spatique Wellness, LLC dba Spatique Skin Care™, and only as authorized.